I'm finally back and ready to write a bunch of new posts. I know it's been a long time since my last one. In fact while I was away Serious Squash surpassed 100,000 views! Cool, glad people are reading, even if they disagree with some of my remarks. I was in Malaysia for the Penang Junior Open at the beginning of June and then took a 3 week vacation in Thailand. I figured my first post should be about my impression of the tournament and compare it to what I see back here in Canada. So let's get right into it..
Straight away I realized how difficult it would be for anyone from here to go to this event and do well. Not that we don't have some players here that are of a similar standard, but because of hot and humid the weather was and the courts were. I was sweating just walking around the city, even when sitting in the squash club. 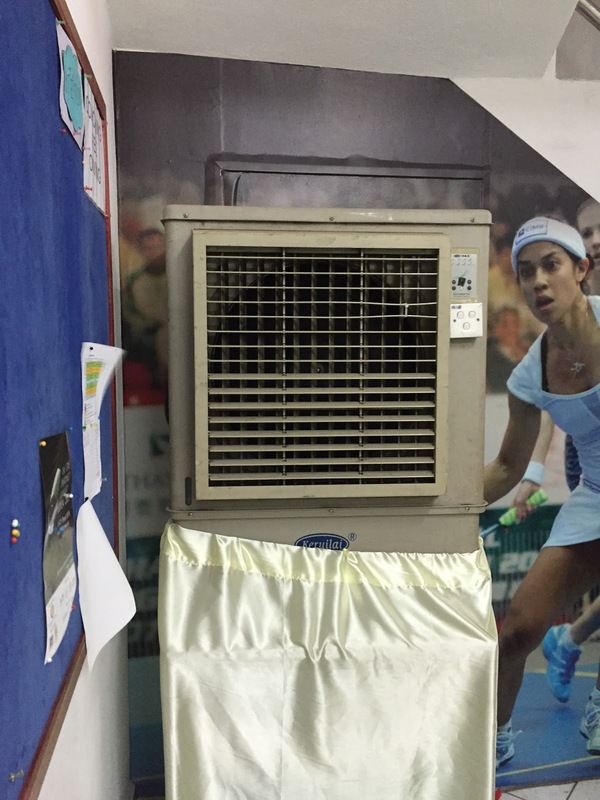 Yes, they had an air conditioner, but this thing (pictured below) did nothing to cool down the place. It must have been 30+ degrees in the club. The hot weather and humidity made the ball super bouncy and it's certainly a major advantage for the kids from hot areas that are use to playing in these conditions. I talked to some people from Hong Kong and they said there court are kept extremely cold so although the climate is hot and humid, the playing conditions are not similar at all. The other thing I noticed early was how difficult it would be for people from Canada to eat similar food that they do back home. Many people I know in Canada (some would include myself in this category) are quite picky eaters. Here the ingredients are clearly lined out. In Penang, not so much. There are also many people back here in Canada that are vegans, gluten free or have food allergies. If you are one of these people you will have great difficulty finding something to eat in Malaysia. I began my trip wondering what I could possibly eat, until I finally changed my mindset and just ate whatever they were selling. But again if you're body isn't use to digesting noodles for every meal you may not feel the same on the court. And of course this doesn't mention the 30+ hours of travel it took me to reach Penang. I felt pretty jet legged; light headed and dizzy for a few days. It definitely made me appreciate how tough it must be being a professional athlete travelling the globe. Alright, time to get to the squash side of things. The draws for all of the ages were much very big. The tournament ran over the course of 6 days! You can see from an example of the boys under 11 draw why a facility with 12 courts needed 6 days to finish their tournament. I tried to watch all the top kids in each division. I felt that overall there were a couple of noticeable differences in style and ability. I thought that the kids at this event generally hit the ball much harder then the kids here do and the girls and a very deceptive attacking boast from the back of the court. I didn't see much volleying which the warm courts may have attributed to. But even with the bouncy ball I thought the top kids were extremely precise at finishing off loose balls at the front of the court. Basically I think that most of the kids I watched have just played more squash then our kids have. On top of that they get the benefit of more high quality opponents. Here in Canada we have some strong kids, but they live too far apart to benefit from one another. Even if 2 or 3 strong kids are at the same club or school, it's just not the same. 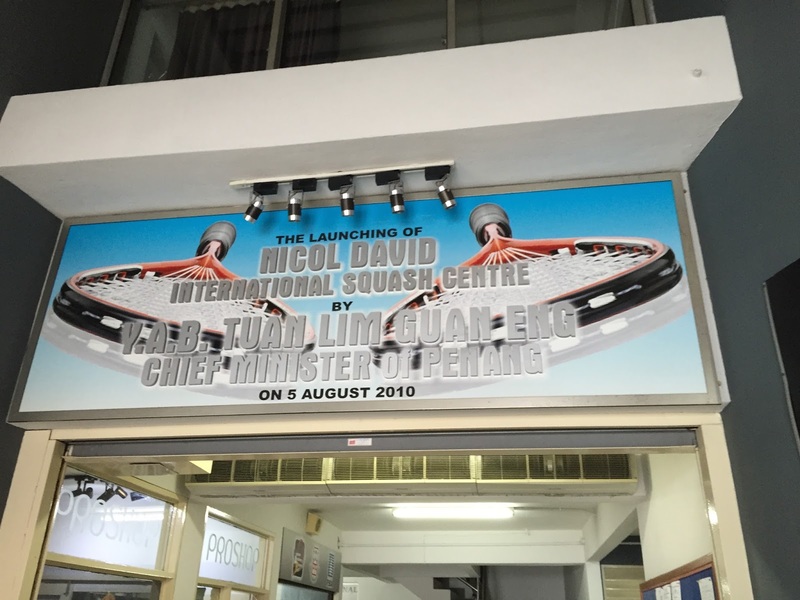 In Penang there were lots of different styles of play and so many strong competitors. So if there was one thing I would recommend for juniors here it would be to get some international exposure at a young age if possible. You need to get a consistent high level of competition to become the best you can be. As for the game itself, it's simply about repetition and hitting more balls. The more squash balls you hit the more grooved your swing becomes which means you will become more accurate and you will also learn to hit with more power. Overall I thought my trip to Penang was an excellent learning experience. I filmed a bunch of games to show some of the kids I coach. It also gave me some ideas on preparing kids to play overseas. If I took a group to this event in the future I would crank the heat up in the courts while we practice here at home and use a bouncier ball. I would also have team dinners where we would eat something similar to what we expect to eat overseas. Generally I feel we baby and overprotect our children here (like animals in a zoo) and they would have great difficulty adapting to the wild. Still I think the more we do ahead of time to prepare our bodies for what's in store the better we'll perform. But I also believe that nothing will help prepare you better than experience. I don't expect many (or any) kids would do well in their first tournament overseas. For all of the reasons I've stated, plus you would likely have no ranking and a tough draw. I remember when I was 12 I went to the British and Scottish Junior Open. At the time I was the defending national champion back here in Canada. But when I got there I was one of many great players. I wasn't prepared for having a tough match each and every round. Although I came 5th at the Scottish I didn't do well in the British. Since I'm on the topic of Malaysia I have to take this opportunity to mention that yes, when I was 12 I beat Iskandar in the cons finals! I still reminder trading shirts with him after. I gave him a Bellville Junior Open shirt while I got some cool Malaysian team shirt. Afterwards he went one way (to the top 10 in the world) and I went another. Makes me wonder how much of that has to do with ones environment. The week after at the BJO I lost first round, won a few matches and then lost another. But when you normally win every tournament here (and you're a kid), you're not exactly pumped up to play the consolation matches. It's something all top young juniors should experience. How they handle it will help prepare them for future tournaments and is crucial for their long term success. It's a big world out there. There are lots of strong juniors all over the world. Don't measure yourself on a small scale within your province or even your country. 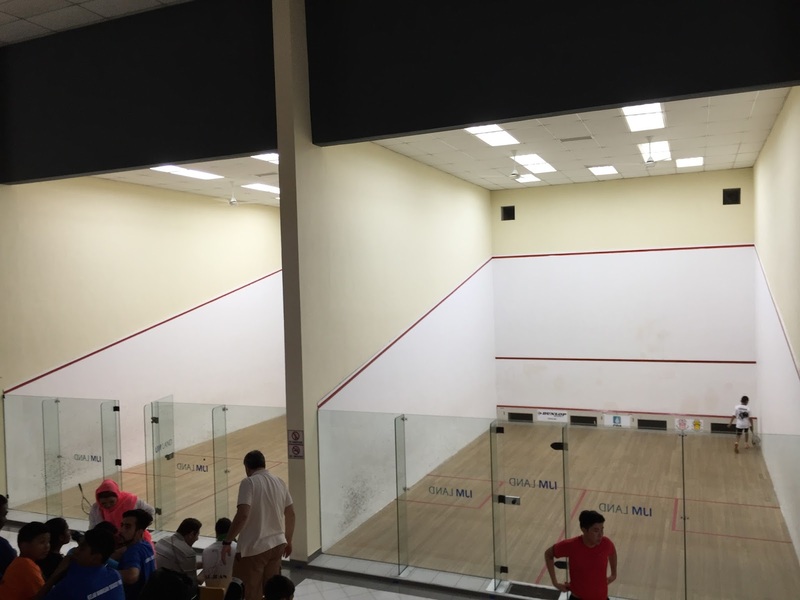 If you really want to be great you need to experience squash on a global scale. That's it for today, but I've made lots of notes and have plenty of ideas for future posts. Glad to be back and hope you enjoyed today's post! 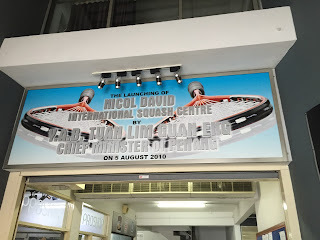 I am from Hong Kong, and I was also at the Penang Junior Open. Great observations, especially the one about kids hitting harder. To your point that kids from Canada/US would not do very well if they played in Malaysia for the first time because of the multiple adjustments and because of poor seeding, they should consider coming to play in the HK Junior Open. Hong Kong's court conditions are more similar to North America's, and Hong Kong is a very modern, first-world city. The HKJO attracts players from Malaysia, India, Egypt, Pakistan, Japan, Australia, etc., so you also get exposed to a wide variety of playing styles. And finally, I think that the tournament organizers here try hard to seed players correctly, often giving the benefit of the doubt to foreign players. (In fact, this is true for the Penang Junior Open as well -- I think they seeded foreign players generously in Malaysia.) Oh, and the timing for the HKJO is good too -- it's in mid-August, at the end of the summer and right before school starts. I'd encourage kids who want to get foreign tournament experience to consider the HKJO. It's a well-run tournament, and would be less of an adjustment for North American players.